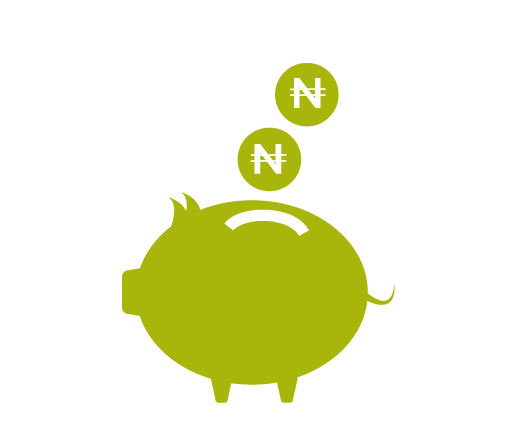 iSave Plan is an enhanced savings plan that assists in building a lump sum amount over 24 months while paying a competitive interest rate which is 4% higher than the minimum savings deposit rate paid by the banks. Premature termination and withdrawals are permitted, however accured interest will be forfeited. The sum assured (Life cover ranging from 100,000 - 1,000,000 ) requires a ONE TIME PAYMENT (known as risk premium) of 1% of the sum assured, then the Risk Premium will be N2,000. For sum assured of N500,000, the Risk Premium will be N10,000 etc. In the event of death, the account balance and sum assured are paid to the named beneficairy. To provide our Customer's with a Short-Term savings Plan alongside Life Cover.